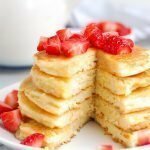 These fluffy paleo pancakes are the best homemade pancakes ever! Made with almond flour and tapioca flour, they turn out perfectly light, fluffy, golden, and can be made with coconut or almond milk! Pancakes are meant to be slightly golden with a crisp on the outside and a soft fluffy inside, right? Well, these here are those perfect paleo pancakes friends. 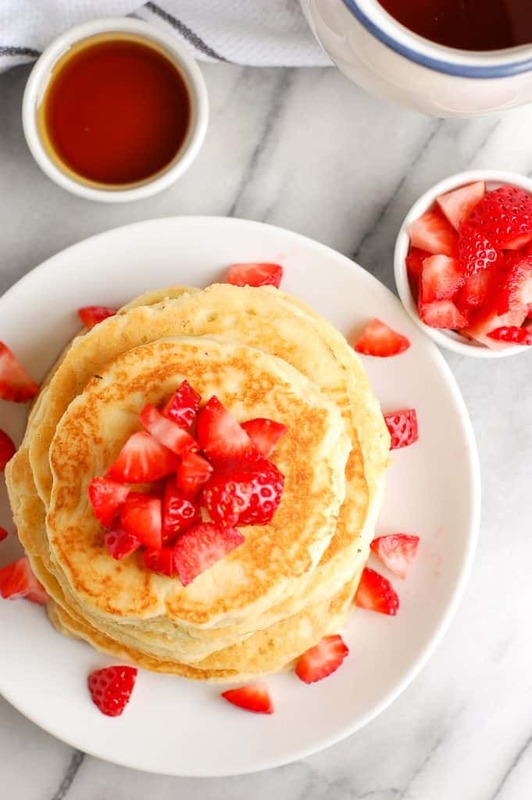 These pancakes are made gluten-free, grain-free, have no refined sugar, and are made with only six simple ingredients. Plus they are made without banana which I find that almost every paleo recipe includes it in there! One of my favorite parts about them is that you can store them in the freezer to save for a day when you just don’t feel like making breakfast. 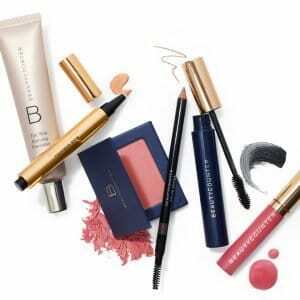 They are completely kid-friendly, too – oh and boyfriend approved because that is the most important, right? We grew up on pancakes as a kid. 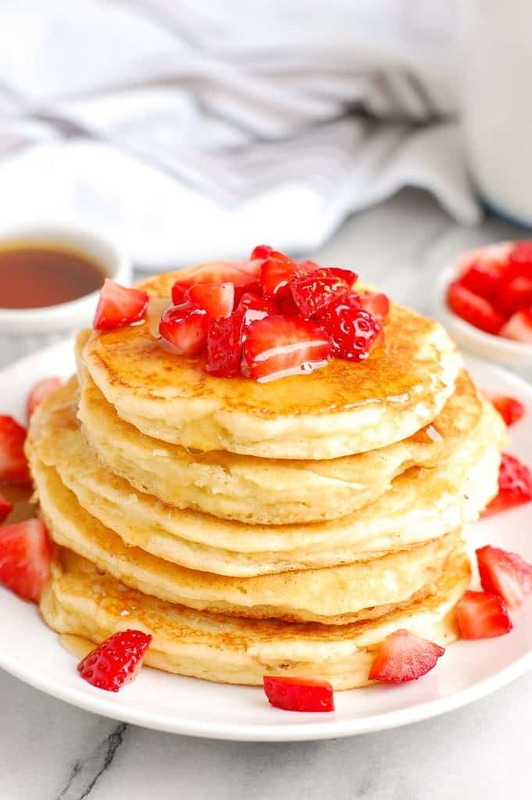 My mom would make them every single weekend and I can vividly remember her standing over the stove on Saturdays, flipping pancakes, adding in chocolate chips and banana slices, and then getting the table set for our meal. 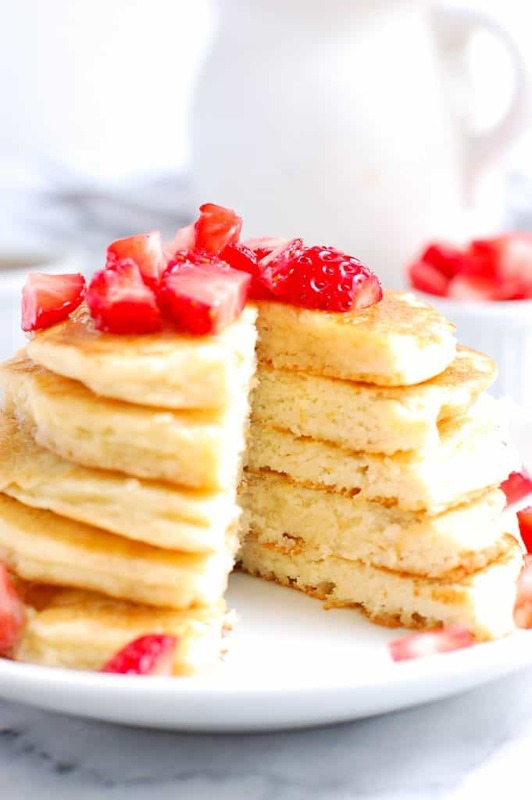 I love tying new healthy recipes I create to food memories like my childhood, and while I still wouldn’t say no to a morning at home with my mom’s pancakes, I wanted to make a healthier pancake recipe to share with everyone. I’ve spent a lot of time trying to make the perfect paleo pancake recipe. I’m never super thrilled with the results because I find that sometimes they are just too dense, too wet, and gritty, and several recipes that I have tried have been that way. So after a lot of pancake testing (and eating), I finally created the best paleo pancake recipe. The recipes calls for two different flours and I highly recommend using both of them, almond flour and tapioca flour. 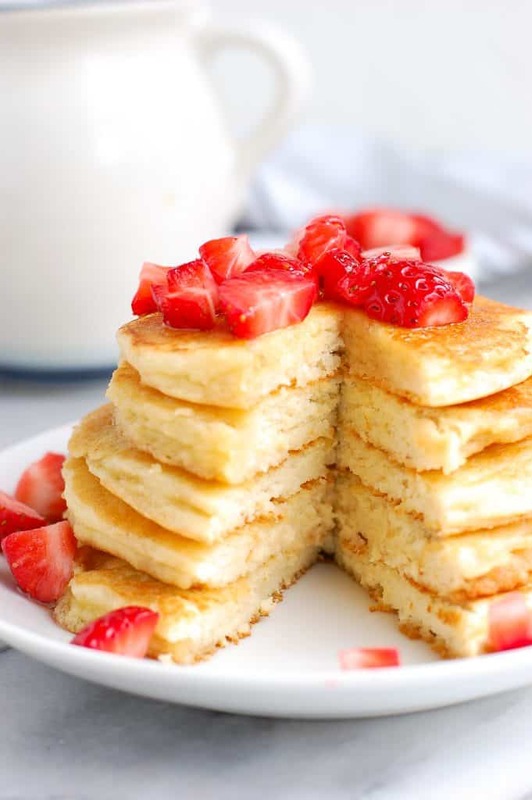 The almond flour is the base of the recipe, giving it that hearty pancake taste, while the tapioca flour is what gives the pancakes the fluffy and light texture. Mix those two flours together in a bowl and add in baking powder, cinnamon, and salt. Gently stir to combine these and set them off to the side. In a small bowl, you’ll want to crack your eggs and whisk them good. For milk, you can use either coconut milk or almond milk. I prefer coconut milk because the extra fat in it really gives the pancakes a delicious and hearty flavor. If you’re using almond milk, you will need slightly less milk! Add the wet ingredients to the dry and stir to combine, batter will be fairly thick and that is perfect. Heat a pan over medium heat on the stove and add in coconut oil or butter to prevent sticking. I used a measuring cup to scoop the pancake batter and the back of a spoon to spread it since it is pretty thick. Let cook until starts to bubble or if you lift it up and see that it is getting golden brown, then flip and let cook on the other side. It is important to keep the temperature between medium and low the entire time, if not the pancakes will burn on the outside and not cook on the inside. Just have some patience and let them cook low and slow. I was so incredibly happy that when I made these, my whole family went nuts over them. I’m talking about the family who grew up on boxed pancake mix. No one in my direct family is gluten-free, so it was awesome when the gluten-free people and non-gluten-free people enjoyed these pancakes. The cinnamon in them almost gives them a sweet taste. Tom thought that they tasted like snickerdoodle cookies, and when I was eating them, I thought the same thing. You can add in any mix-ins that you like, blueberries, sliced bananas, chocolate chips, and be sure to top it with pure maple syrup for a delicious sweet touch. We also enjoyed them with peanut butter and regular butter, too! 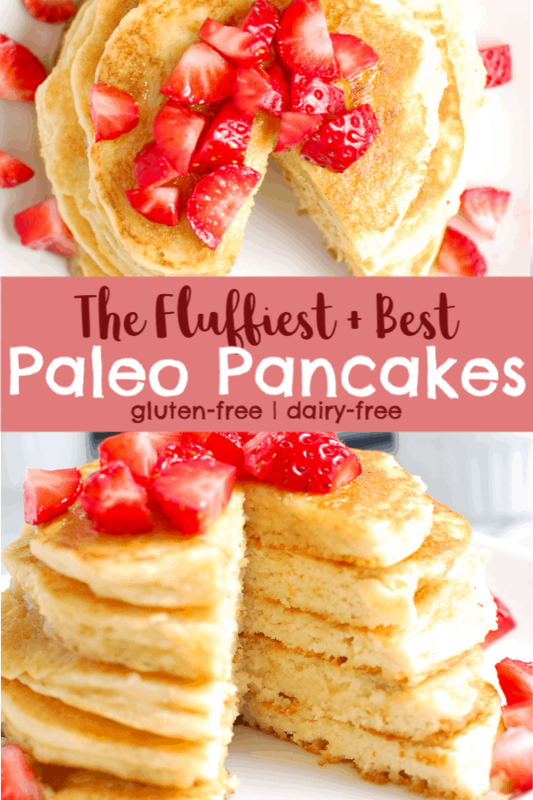 Please be sure to let me know if you make these best fluffy paleo pancakes! Be sure to follow me on my social media accounts! These are insane! So incredibly good that I could eat everyday and never get sick of them! These look so good…….Allergic to eggs, any alternatives to use? You could try a flax egg! Hi Erin! These look amazing, is there anything I can use if I don’t have the tapioca flour? Maybe adding more baking powder or something? Please let me know, excited to try these!! You can try either cornstarch or arrowroot powder – if you don’t have/want to use those, i would just add a little more almond flour and a little more baking powder. May not be quite as fluffy but I think they will still be delish.